The Western Australian School of Mines (WASM) has produced some of the most notable names in the history of the Australian mining industry. Amongst those is Charles Warman, inventor of the Warman Pump in 1938. Eighty years have passed since Charles Warman created the Warman Pump in Kalgoorlie and his legacy as its inventor remains as strong as ever. 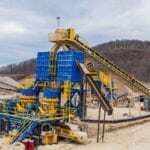 Today, the Warman Pump is designed and manufactured by Weir Minerals, a global provider of technology and services for the mining industry, which acquired the ever-expanding Warman brand in 1999. Weir Minerals celebrated the 80th anniversary of the Warman Pump with an event in Kalgoorlie in May, commemorating its storied history and looking to the future. The event was a chance to celebrate the brand’s success, having retained its leadership over such a long period, according to Terese Withington, regional managing director for Weir Minerals Asia Pacific. Weir Minerals invited a variety of people who have influenced the success of the Warman Pump over the past 80 years to the event, including customers, design houses, members of WASM, as well as a few current and past employees. To continue the celebration, Weir Minerals will also hold similar events around the world to recognise the global expansion of the Warman Pump. 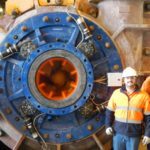 Here, Australian Mining summarises the key moments that have shaped the distinguished history of the Warman Pump over the past eight decades. WASM graduate Charles Warman starts work as a design draftsman in Kalgoorlie’s largest gold mine in 1931. Unhappy with inefficiencies in mining at the time, especially the pumps, Warman starts work on a new invention in the area. By 1938, he invents a new pump that uses replaceable liners and an easily replaceable impeller — the Warman Pump is born. Charles Warman sets up a private consulting practice while continuing to upgrade the Warman Pump. It isn’t until after World War 2 that manufacturing of the pump begins in earnest. From a Kalgoorlie manufacturing plant, nicknamed Hippodrome, Warman Pumps spread across Australia. As demand rises, offices are set up in Sydney and Perth. By the end of the 1950s, the pumps account for 90 per cent of the Western Australian market. By the 1960s, Warman has manufacturing licences across the globe. The Warman Series “A” Pump is considered the world leader — a position retained to this day. Rapid growth continues for Warman Pump in the 1970s, with licences set up in Japan, the United States, South Africa, Europe, the Philippines, South America and more. To reflect this growth, the company is renamed Warman International. But Warman retains its roots through expansion at its Sydney manufacturing facility, developing it into the only plant in the world where slurry pumps are designed, totally manufactured and tested in the one self-contained site. Warman International continues to expand in the 1980s, with an increase in exports throughout South America, and manufacturing in China. The first manufacturing plant in Chile was set up in 1990. Thanks to this continued growth and the expansion of Warman products, sales increase by 75 per cent despite a global financial dip. In 1988, the Warman Design and Build Competition was set up to help foster innovation in engineering students. Now in its 30th year, it is a prime example of how those working with Warman Pumps are always focused on the future. In 1999, Warman International joins the Weir Group — the beginning of a whole new chapter. The early part of 21st century sees the global reach of the Warman Pump extend, strengthening its presence in Latin America, North America and Europe. Weir Minerals oversees a range of technological improvements to the Warman pump. In 2005 the first pressure relief system was added and 2009 saw the development of the new Warman WBH pump, featuring a new revolutionary impeller and inlet design. In 2008, South Africa’s CH Warman is acquired by Weir Group, consolidating all aspects of Warman. With Weir Minerals, the Warman Pump continued to break new ground and lead the industry with innovative designs and products. This article also appears in the June edition of Australian Mining. 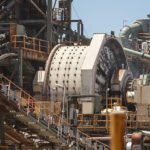 Is the Western Australian School of Mines losing relevance?